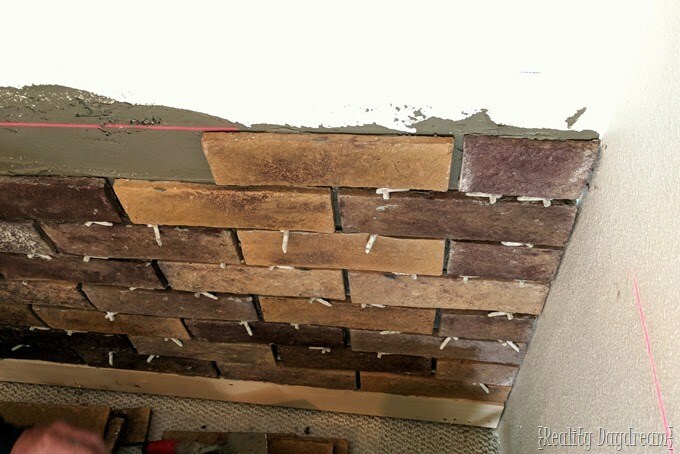 What’s the best materials for home brick wall decoration ? 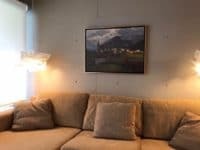 Home/Feature Wall/What’s the best materials for home brick wall decoration ? 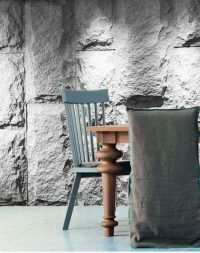 Brick walls ,an combination of the past and the presents ,become more and more popular . 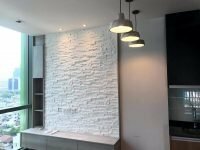 White brick walls represent clean , modern architectural design , modify your house from an boring ,cold , normal glass and tiles interior to a warm , elegance and personality style . Old rustic brick walls express building’s history and long time . No matter what kind of brick texture you use ,we need to find a right brick material for your project . There are several main materials available in market to create a brick look . 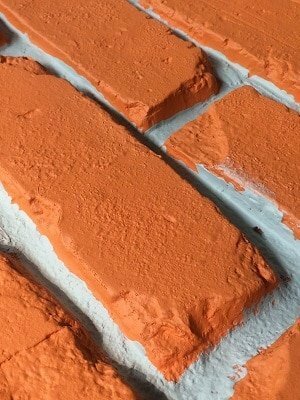 Use real brick to make a mold , reduplicate every details of real brick , even tiny ones . Polyurethane brick panel is real 3D look , same texture as real brick . Even touch it , you still cant believe it is not real brick . Molded from high density polyurethane foam , each polyurethane brick panel is light weight , only 4 kgs per square meter. Cast polyurethane brick panel can be installed by glue or nails . Every one can handle the installation by himself .No need skills , No mess . Polyurethane brick panel has closed cell instruction , water proof , No crack , No rot . Polyurethane brick panel is easy to clean with wet cloth . That is very low cost to keep your home wall clean . Real bricks are mainly used as construction material for building . 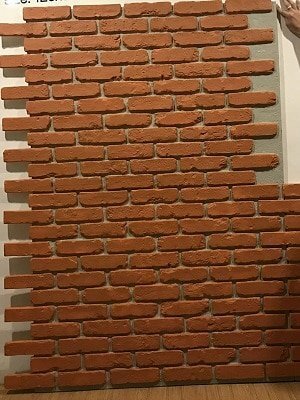 You also can use real brick built a wall in house . It take time and need professionals . Traditional culture bricks are made of some fiber compounds with sand ,dust ect . Both real brick and culture bricks are very heavy . It produce mess when you install them . Also professional installer is very necessary . In some countries , the professionals are very expensive . 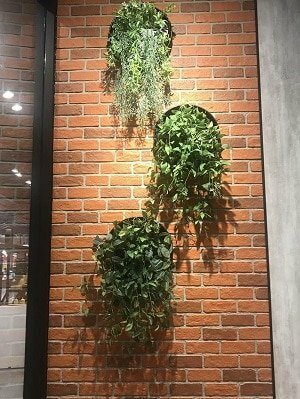 Now wall paper also can be brick look. They are easy to install ,but wallpaper is 2D , looks fake .Wall paper will be rot understand humid condition . We saw many wallpaper only works half year and cant be repair . What you can do is get rid of all wallpaper and re-decorate the wall again . 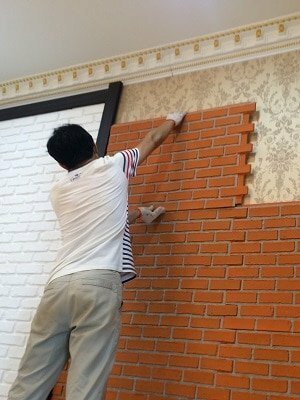 Brick Panel sticker is easy to install . PE foam brick sticker looks fake , not so real because the production skills . We cant fix the joints ,only can left a visible line for each row . 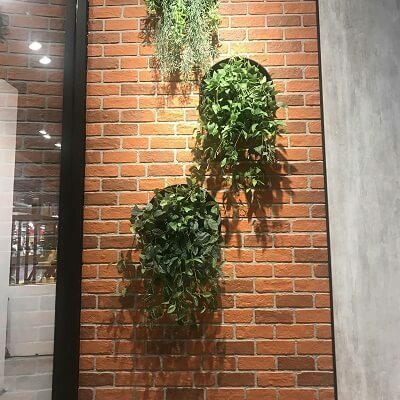 Now it is your time to you to make a final decision .Polyurethane Brick Panel, Real Bricks , Traditional culture brick , Wallpaper ,PE Foam Brick Sticker , Which one is your choice ? How to choose ceiling medallions ? How to install PP Faux Stone Panels ? 10 Year of PU cornices moldings manufacturing, professional and reliable polyurethane faux wall panels partner in China. We are here to serve you anytime.